Last minute plans and a quick getup. 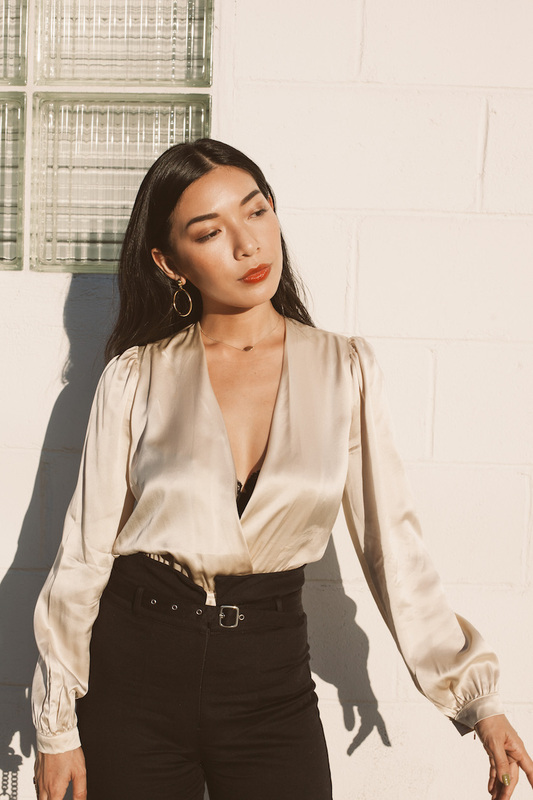 I typically fall back on dresses for a down-to-the-wire decision on an outfit, but I remembered this silky blouse I just got from Reformation that I haven't had a chance to wear. It's a perfectly balanced "subtle statement" of a top, with its deep v neckline, billowed sleeves, and shimmering disposition, so it was easy to pair this with minimal, black accompaniments. The pants are also by Reformation and I love its high waist and built-in belt. My shoes are Jimmy Choo, my first indulgent purchase in a long while and I'm so happy to have found them; the mesh polka dot print makes it a nostalgic, vintage-like shoe that elevates any outfit with a bit of elegance and fun. 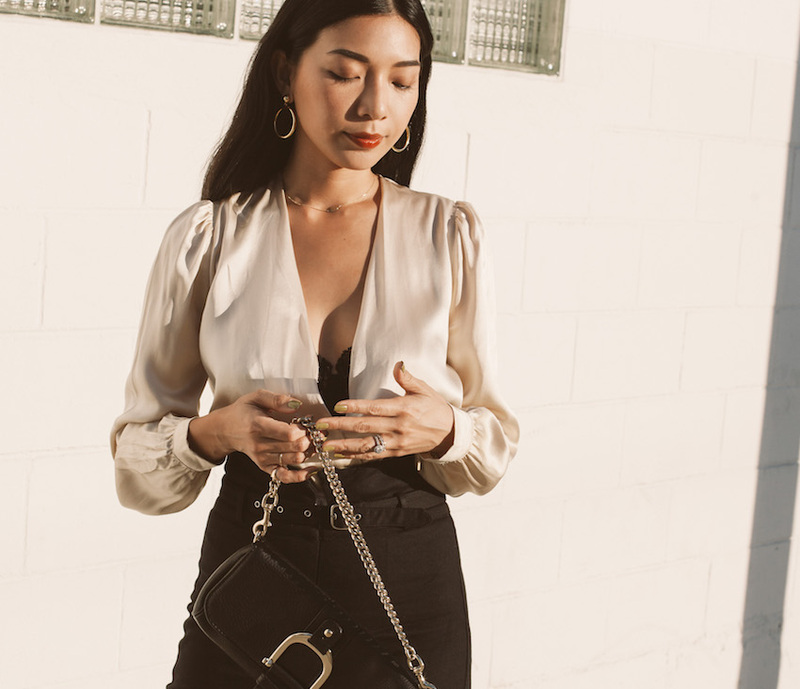 This old, old Gucci bag was the second designer piece my mom has ever gifted me; I'll keep it forever because my mom knows timeless class and this almost-vintage piece continues to just work it with any evening look. Always so elegant! Love this fit. You have some great sunlights on you! Great color! Really amazing sunlight on you! Just a perfect photos! I am Teo from Atenes! Such stunning colors! You look gorg in this silk top. Super complimentary to your skin.